One of the most common questions that we get from our investors is why do we not have more exposure to China? We answer investors by saying that while we may not be directly invested in any Chinese listed stocks we do have exposure to China through our investment to Hong Kong Stock Exchange and the US-listed Chinese search engine, Baidu. We also have significant indirect exposure to China through our holdings in technology, beverage, fast food and casino companies. This leads to the second most common question asked by investors: Are you concerned about the high risk of owning casino companies in Macau? Our Concentrated Global Share Fund is actually invested in two US-listed companies, Las Vegas Sands (LVS) and MGM Resorts International (MGM). Both companies develop and operate a suite of world renowned resorts. They also own a majority stake in Hong Kong-listed Macau casinos, as well as casinos within their US properties. In the case of LVS, they also own the Marina Bay Sands resort in Singapore. Whilst we refer to these companies for simplicity as casinos, in reality this is a misnomer given that both companies are owners and operators of integrated resorts that offer five star hotel accommodation, numerous food and beverage options, retail, convention facilities and entertainment venues, as well as casino facilities. 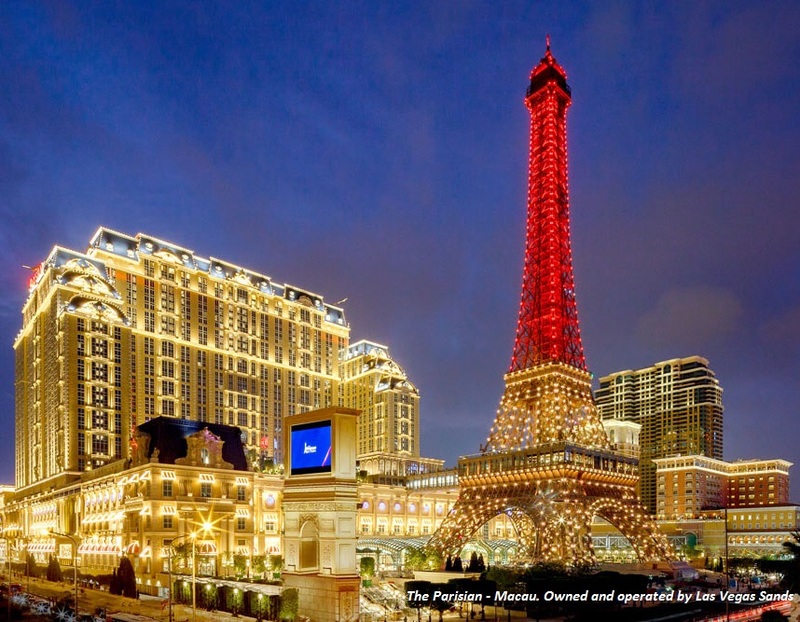 Both LVS and MGM hold indirect exposure to Macau’s hotel and leisure establishments. LVS’ Macau exposure is through a 70% holding in the HK-listed Sands China Ltd, which accounts for around 50% of total earnings (EBITDA). Sands China has a large market share of around 23% and holds the number-one position in terms of gross gaming revenue (GGR), mass-market gross revenue share (29%), and share of total Macau resort earnings (approximately 35%). MGM, who have the largest market share on the famous Las Vegas Strip, derive their Macau exposure through their 56% holding in HK-listed MGM China Holdings Ltd, which currently accounts for 13% of MGM’s total revenue. This is set to grow after MGM China open their second casino in Macau at the end of January 2018. We believe that the perception of Macau’s inherent “risk” by some investors dates back to the significant share price declines experienced by the six HK-listed Macau casinos in 2014. This followed the introduction of smoking bans and a country-wide corruption crackdown in China which saw GGR fall from around US$44 billion in 2014 to US$28 billion in 2016. However, our view is the latter initiative will result in an industry that is able to sustain greater long term growth with higher margins, whilst the former will no doubt result in healthier patrons and staff. In assessing the risks and opportunities in Macau, investors need to look through the lens of the Chinese Government’s underlying agenda for the island to appreciate the context. Up until 1999, Macau was a Portuguese colony which was renowned for organised crime, illegal gambling and prostitution. In 1999, Macau was handed over to the People’s Republic of China, and like Hong Kong, became a Special Administrative Area (SAR) of China. In 2000-2002 the Macau Government, under the control of the Chinese Government, issued what resulted in effectively six gaming licenses with 20-year terms. Today, the only real form of legal gambling in China takes place in Macau. Although there was no exclusivity placed on the six licenses, the Chinese Government has been resistant to issue any further gaming licenses given lack of land availability and a focus on developing additional non-gaming attractions. The tax rate was set at a relatively high 39%, and was reviewed ten years later although no changes were made. Hence, the licensing arrangement for the six concessions has remained consistent since China established control. 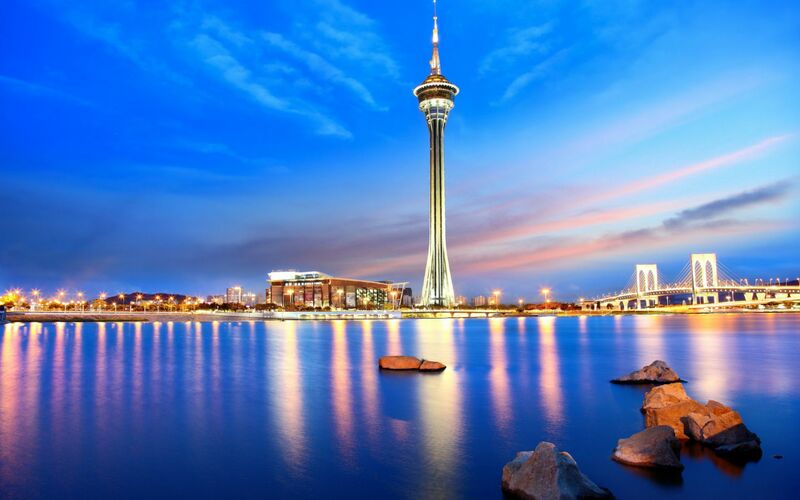 Macau consists of three distinct land masses – Macau Peninsula, Coloane and Taipa – connected by bridges and covers 30,000 square kilometres. Macau shares a border with the Chinese province of Guangdong. The Peninsula of Macau was the first area to be developed following the handover to China and today accounts for approximately 40% of Macau’s total GGR and about 30% of property earnings. Sands China was the first to develop the reclaimed land bridge between Coloane and Taipa called Cotai. They were also the first to develop an integrated resort in Macau, the Venetian Macau in Cotai. Sands China now owns close to 13,000 hotel rooms , four theatres with total seating capacity of over 5,000, an arena with a total seating capacity of 15,000, as well as two million square feet of retail facilities and another two million square feet of conference, exhibition and meeting space. MGM, with only one casino and 580 hotel rooms on the Peninsula, will open their second casino in Cotai with an additional 1,400 rooms. Cotai itself has since become home to numerous integrated resorts and now accounts for about 85% market share of the casino-owned hotel rooms and the bulk of the non-gaming facilities, creating a cluster effect not unlike the Las Vegas Strip. VIP gambling became a feature of Macau and has certainly been a driver of GGR growth from the time the first casino licenses were issued. The VIP business is divided into direct VIP and junket VIP sources. Direct VIP tours are arranged directly by the hotel, while in the third party model, the junket acts as a ‘middle man’, promoting relationships with wealthy individuals in China, organising their visits to casinos in Macau and extending credit. Both forms involve the extension of credit by either the casino in the case of direct VIP, or the junket for the latter. The junkets are paid a handsome commission for their services by the casinos which equates to around 40-45% of net casino revenue from the group. As a result, VIP earnings margins are around 10% and a lot lower than mass market margins which average 35%. The Chinese Government wagered a crackdown on VIP gaming in 2014 to control the illegal flow of money from mainland China and address corruption among the junket operators. At its peak, VIP business accounted for 73% of Macau’s gaming revenue. Today, in large part as a result of the corruption crackdown and the introduction of anti-money laundering regulations, VIP revenue is closer to 50% and the number of VIP tables has been reduced by 35% since 2013. Through this curtailing, the Government has facilitated growth in the mass-market segment, which forms part of the longer term agenda to promote Macau as a family-friendly tourist destination. In 2016, Macau welcomed 31 million visitors and recorded a higher number of overnight visitors than day trippers for the first time. For the casinos, this is important as the average overnighter spends about four to five times that of a day tripper. Of these, 66% of the visitors were from mainland China and 20% from Hong Kong. Given the proximity, 44% of mainland China visitors come from the neighbouring Guangdong Province, and arrive by ferry. Yet, penetration of Macau tourism in China is only 2-3% of the 1.4 billion population, significantly lower than Las Vegas’ penetration of 13% of US resident visitors. We believe there are a number of reasons behind the relatively low penetration, including lower average personal income, restricted travel, limited hotel capacity and transport infrastructure bottlenecks. Over time, we expect these issues to present less of a barrier to entry. Today, Macau’s aggregate hotel capacity is 36,000 rooms, with typical occupancy of 85% (>90% on weekends and holidays). Based on current development proposals, we expect this number to rise to more than 40,000 by 2020. In addition, more than US$22 billion of transport infrastructure is also expected to reach completion by 2022 which will significantly change the current tourist dynamic. The new transport links will allow more mainland Chinese from further afield to travel to Macau more efficiently, which will encourage longer stays. One of the flagship infrastructure projects is the Hong Kong-Zhuhai Bridge, a 55-kilometre link due to open in early 2018 which will be among the world’s largest sea-crossing roads. This will allow passengers flying into Hong Kong Airport to arrive at the Macau border by road in 30 minutes. The same journey currently takes an hour by ferry, which operates infrequently. Expansion of the five airports that serve Macau and development of the National High Speed Rail Network should also drive increased visitation. Cotai, which currently appears as a giant construction site, will be linked by the Macau Light Rail to allow easy access to all the integrated resorts on Cotai. The growth in tourism will take time, however the Chinese Government has made it clear that transportation infrastructure and the development of the Greater Bay Area (which encompasses mainland China, Hong Kong and Macau) is a priority. Chinese visitors currently require a visa to enter Macau. They can either enter Macau on a Group visa as part of a group tour, or under the individual visitor scheme (IVS). Only the residents of 49 cities within China (21 of which are in the Guangdong province) are eligible to enter through the IVS. With the implementation of new technology at border gates, increases in hotel capacity, expansion of non-gaming facilities and infrastructure improvements, we expect that the IVS will be extended to some of the other 650 cities in China over time. China continues to transform into a consumer-driven economy with a burgeoning middle class and we expect those second and third-tier cities to benefit. The World Travel & Tourism organisation is expecting 200 million Chinese to travel outside the mainland by 2020, up from 135 million in 2016. We expect Macau to benefit from the above-mentioned improvements to capacity which will increasingly attract a Chinese population that is more able to travel and has more money to spend. The Macau Tourism Industry body shares this view, with forecasts suggesting “under a modest growth scenario, visitation should range between 38-40 million by 2025”. The recent development of Macau has been closely overseen by the Chinese Government. The corruption crack-down is not going away, nor will Chinese officials tolerate illegal activity. They have also made it clear through the Government-sponsored Macau Tourism Industry Development plan, that the goal is to develop Macau into a world “Centre of Tourism and Leisure” and brand it as a “multi-day destination” that offers diversified tourist products and services. The Government expects the six existing gaming concessions to generate at least 9% of their earnings from non-gaming activities by 2020. LVS already generate more than 30% of earnings from non-gaming revenue streams, with non-gaming and mass gaming accounting for close to 90% of Sands China’s profits in the most recent quarter. MGM China’s new Cotai resort will include a spa, retail, theatre and convention facilities to target non-gaming revenues, which are expected to account for between 12-15% of total revenues by the end of next year. Both LVS and MGM have fostered strong relationships with the Chinese in order to gain a deep understanding of the Government’s objectives for Macau. By way of example, LVS appointed Wilfred Wong as President of Sands China in 2015. Wong is an experienced and extremely well connected former construction and property executive, who is active in the Hong Kong arts scene. Prior to his private sector work, Wong was also an elected member of the National People’s Congress of China and was involved in the restructuring of Hong Long into a Special Administrative Region. The Co-Chair and Executive Director of MGM China is Pansy Ho, who also owns a circa 22% stake in MGM China. Ho comes from a prominent Hong Kong family with a long history in the Macau gaming industry and has been instrumental in developing Macau as an exhibition space for fine art. MGM have also further engaged with the Chinese through a hospitality joint venture with the State-owned Diaoyutai Guest House. The business has developed hotels in Sanya and Shanghai and is in the development stages for hotels in Beijing and Frankfurt. We believe the future growth drivers of Macau will be the completion of transport infrastructure projects, expansion of hotel rooms, additional non-gaming attractions, and a rapidly expanding Chinese middle class. The Chinese will come from further, stay longer, and spend more in Macau than is practically possible today. The growth prospects of both Sands China and MGM China are closely aligned with the Chinese Government’s objectives for growing Macau over the next five years. With the opening of MGM Cotai, we do not think earnings growth of 30% in 2018 for MGM China is unrealistic. As capital expenditure recedes, the growth in earnings are likely to be used to pay down debt and allow management to increase the dividend payout ratio from 35% in 2017 to closer to 100% by 2019. The companies we own have diversified revenue streams that are less dependent on the lower margin and higher risk VIP revenue. As owners of MGM China’s major shareholder, MGM Resorts International, we expect our investors to benefit from these changing dynamics. With the dominant market share that Sands China has in the Macau mass market, we also think it is uniquely positioned to benefit from the longer term growth in Macau. The company has a strong balance sheet and we expect management to remain committed to returning capital to shareholders, namely LVS, their 70% shareholder. Both the Chinese Government and the resort operators are aligned in the transformation agenda which bodes well for more profitable and socially desirable patronage in the years ahead. The team share their insights on the technology sector with an in-depth view of the intricacies associated with producing chips at Intel. The BT Concentrated Global Fund looks for investment opportunities the market has missed like Rolls-Royce - a company that is entering an interesting phase.